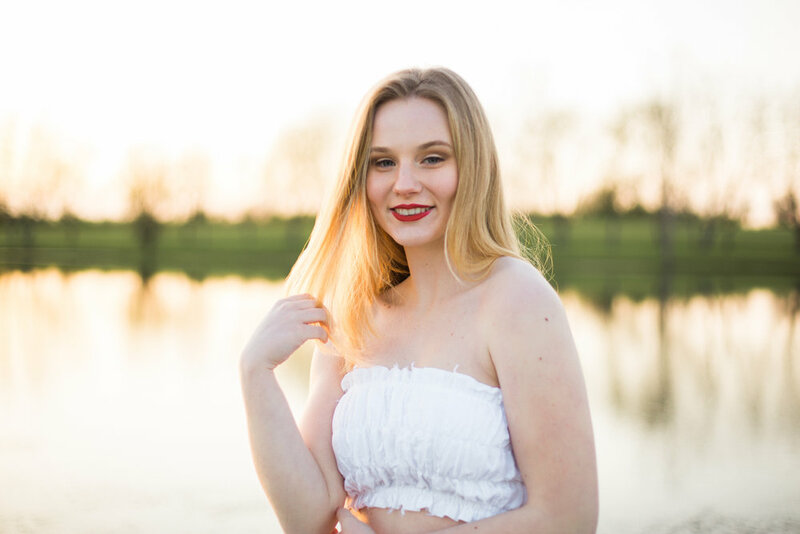 Grace, her mom, and I hung out one Spring evening to shoot her beautiful senior photos. 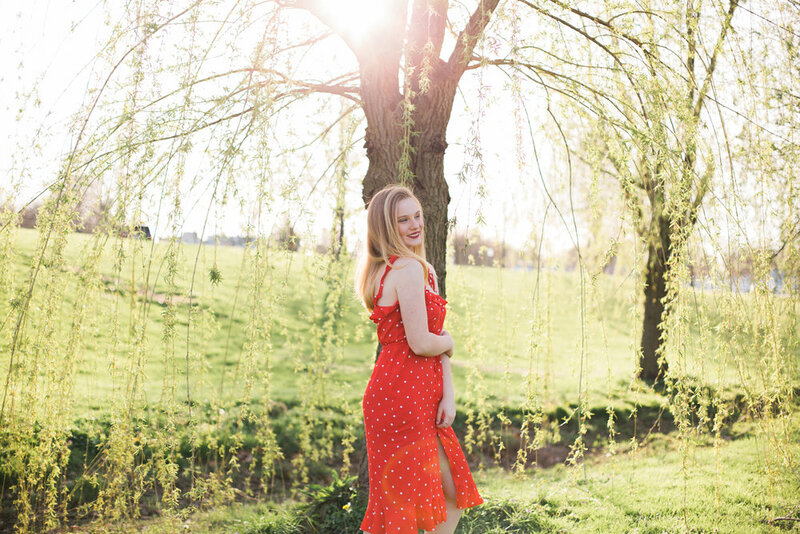 We started at Keeneland with the most gorgeous red dress and sneaks. Then, we headed to Talon Winery (a favorite of mine and especially my seniors) where Grace sported a super cute white two-piece set. Grace and her mom found these outfits at Urban Outfitters, per my recommendation. From our time together, starting at our first consultation, I helped Grace and her mom plan outfits according to the locations she requested. It's so fun to think about color schemes when planning a shoot and how an outfit can really bring the shoot to life! I love helping plan out the details of every shoot - from outfits + glam to locations, I'm happy to help with any aspect of your session!